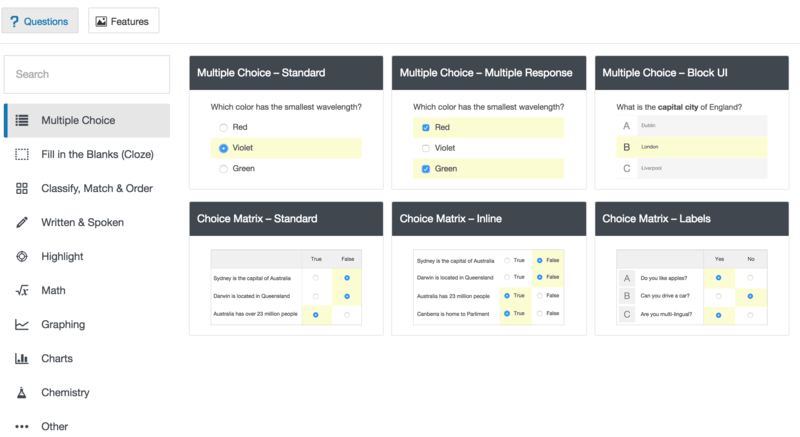 Learn how to create Items and Questions using the Learnosity Authoring Tool. In the last tutorial, we leanned about the basics of Learnosity Items and Questions. In this tutorial, we will learn how to create new Items and Questions using an example of a simple MCQ question. The Learnosity Question Editor will open, and the default set of question templates will be visible. They have been organized into a number of categories. On the left side, you will see the list of these categories, and a group of templates will be available under each category. Each template has been given a name and a short description underneath. 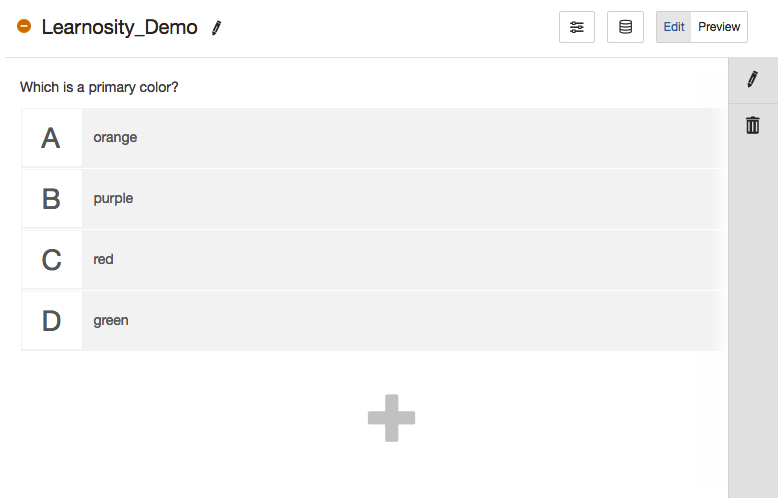 Once you select the template, you will see the Question Editor used to create the Question on the left side of the screen. On the right side, we can see a preview of the question. The initial entry point for question creation is typically the basic parameters shown in the image below. 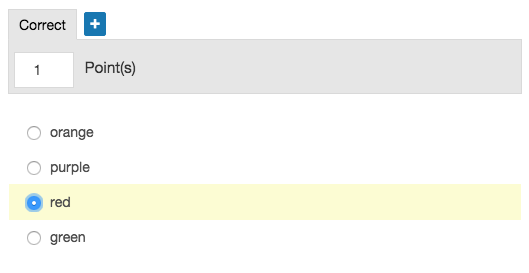 Here, you can enter the question stimulus, or stem, and a variable number of answer options. You can also specify single- or multiple-response behavior. Validation criteria can be found below basic parameters, as shown in the following image. 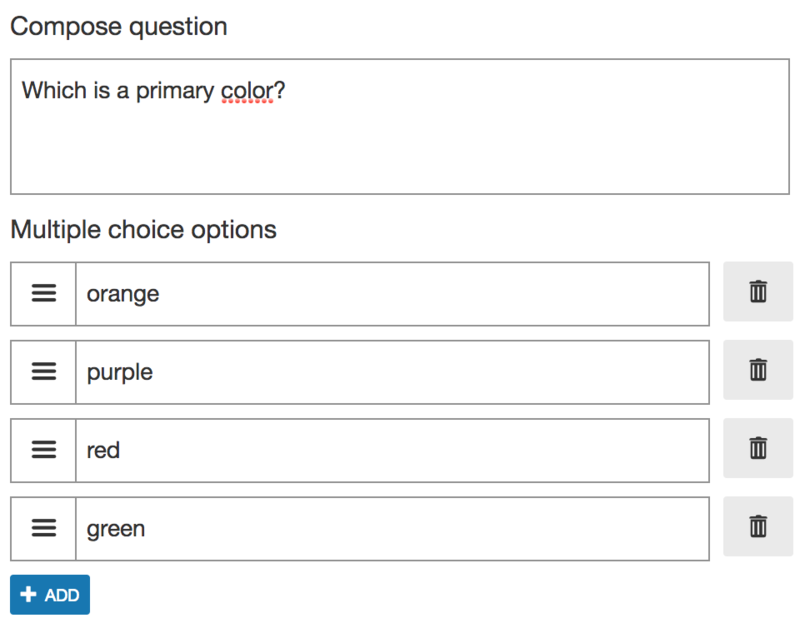 Here, you can select the correct answer, set scoring points, and add optional alternative correct answers. Under More Options accordion you will also find Question-type-specific scoring types and an option to add instant feedback. You can change the look of the question in the Layout section, found under the More Options accordion. 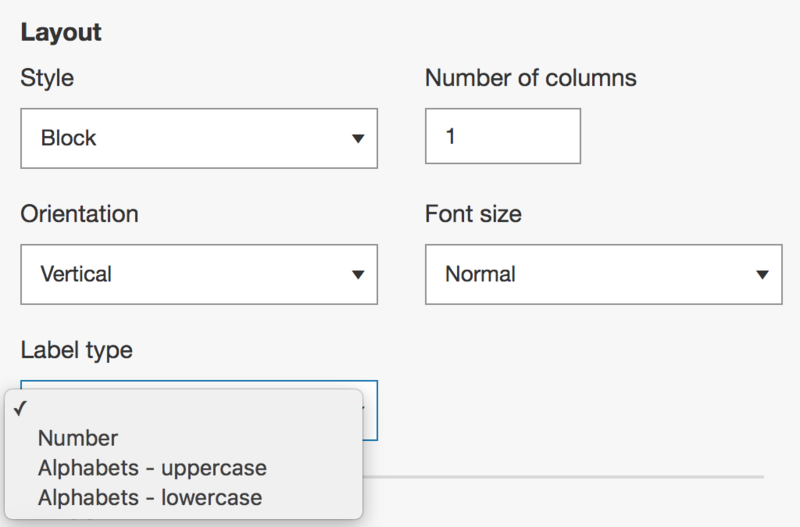 Here, you can change things like font size, number of columns, horizontal and vertical orientation, and the label type (such as uppercase or lowercase letters, or numbers, which appear beside response options). As you create the Question, every change you make is rendered in the Preview section on the right side of the screen. Here, you can see how your Question will look to a student. Under the More Options accordion, you will find additional advanced options. You can add LaTeX or MathML to content, shuffle distractors, and even edit an alternate view of the question’s stimulus in review mode. A preview of the question is always available throughout editing. 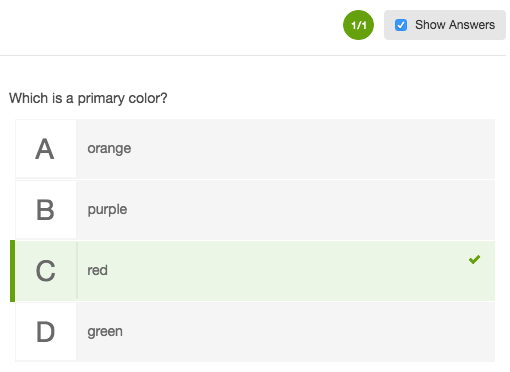 As shown in the following image, you can test your progress by selecting an answer and checking the validated result. The score will be updated based on the test input. When you are happy with your question, click on the Save button above on the top right of the question and you will be redirected back to the Item. The following image shows a view from the edit screen of an Item with just one question on it. To add more questions to the Item, simply click the + below the Item.